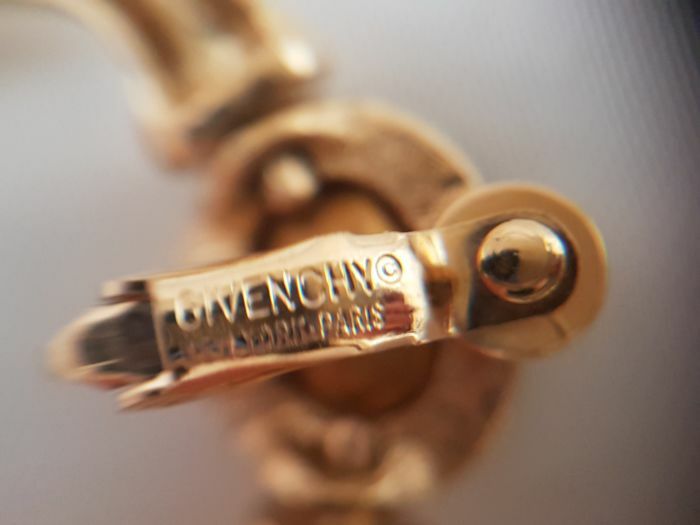 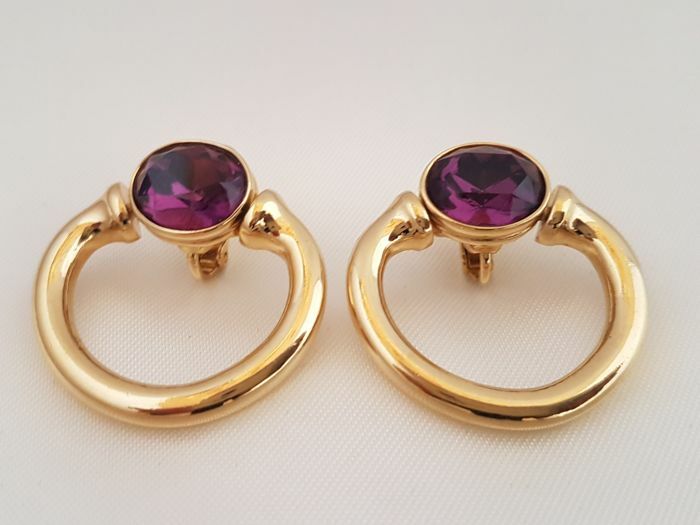 Lovely and stylish vintage Givenchy hope clipe earrings. 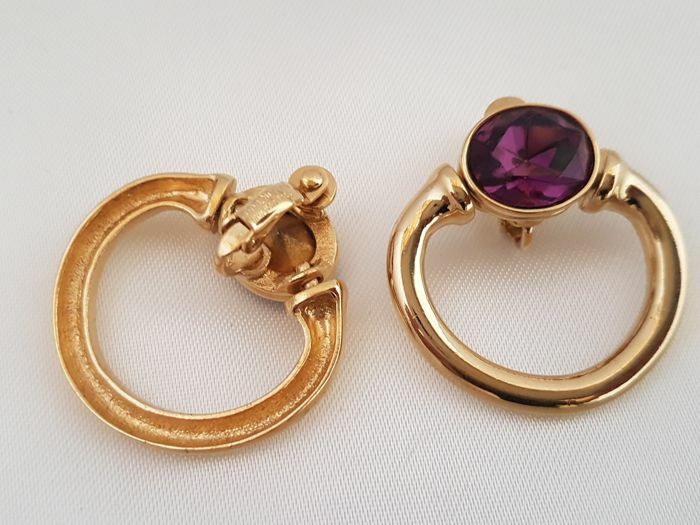 This beautiful and classy pair of vintage clip earrings are set with purple faceted shaped amethyst colored glass stones, timeless piece of jewelry. 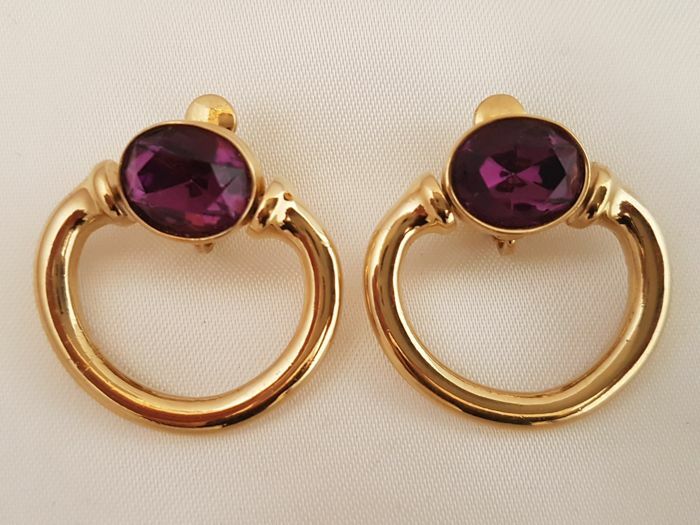 Will match with every outfit!